Ken Jensen: I’m That Guy Who’s Always Working On Marc’s Printer! 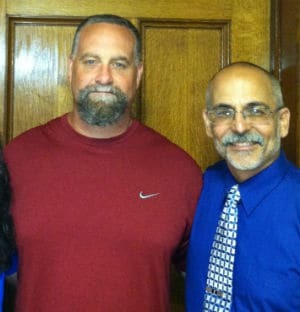 Ken Jensen came to Family Network Chiropractic on his way down the mountain going from good health to near death. 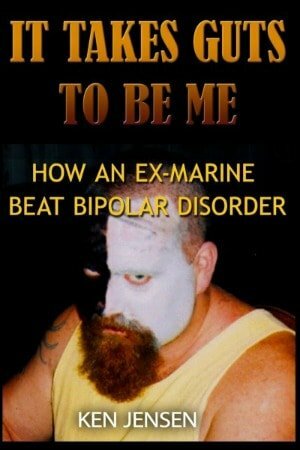 He was fighting a losing battle with Bipolar Disorder at that time. Ironically, he had a job at the time that caused him to have to physically do battle with people similar to him. These people were often having the worst nights of their lives and lashing out violently because of it. Ken had one mission at this job: protect the staff and innocent bystanders. He was given a lot of room to decide how best to achieve that mission. And by default, this gave him an outlet for his own rage and frustration. He loved the freedom to exercise the worst parts of his personality but hated that he wasn’t allowed to use his best parts. The dichotomy of the situation, coupled with his already present and growing mental health issue, was destroying him. Ken was constantly on high alert, looking for danger and attack in every face he encountered. He craved that next fight, no matter where it might be found. As a former Marine and Gulf War veteran, his bearing and energy were such that no one ever felt too comfortable in his presence. The ongoing mental health battle, the nightly fights, his recurring addictions, the anger projected at him by his charges, the harmful psychiatric drug cocktail he was on and a life mission that no longer suited him were all doing their best to crush his heart and soul and creating massive physical pain in his back, as well. 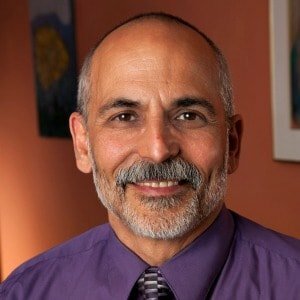 He first started seeing Dr. Marc for his back pain and had a 20-year history of doing well with “Structural” Chiropractic. But that version of care began to give him excruciating pain during adjustments! Dr. Marc, who at that time practiced both Structural Chiropractic and NSA, gave Ken an ultimatum. Switch to NSA or find another chiropractor. All I’m doing is killing you and I refuse to continue doing so. Ken relented. And even though NSA looked too New Age and weird to be of any use, he trusted Marc’s advice as a doctor and friend and relaxed his views enough to give it a whirl. His first entrainment gave him 85% relief from his back pain! NSA helped Ken see why he was as he was! The rest is history. Ken and Marc have been a team in redesigning Ken’s head, heart, spirit and back for over ten years now. There is no evidence of the pain and rage that once drove his entire being when they first met. Instead, all that energy has been redirected into his becoming a force for good; something he’d sort of leaned toward being all his life. Each entrainment and conversation with Marc brings me closer to making the best of all I am. This enables him to decide what rates priority in his mind and heart and what does not, leading him to healthier conclusions in all areas of his life. (Dr. Marc) As an NSA Practice Member, Ken gladly shares our message with the world as he uses all we offer to go build the life of his dreams. A life that allows him to help far more people than he could on his own. P.S. Bipolar hasn’t been an active part of Ken’s life since 2006. Meds-free that whole time too. And to help keep it that way, he moved into these new areas and took his focus OFF his former illness. Read his book, if you’d like to know how that all took place. And feel free to ask Ken all about his story and how it relates to Family Network Chiropractic. He feels that the fact that he’s even alive is, in no small part, due to the NSA care we’ve given him for more than ten years now!